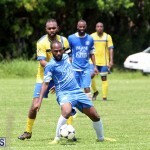 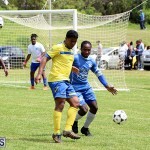 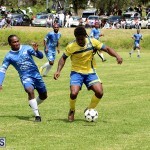 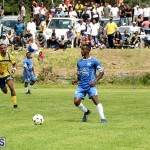 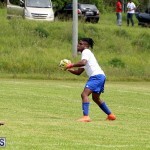 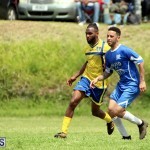 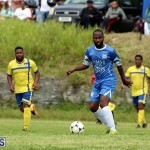 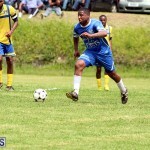 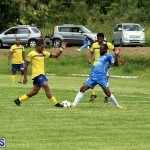 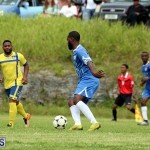 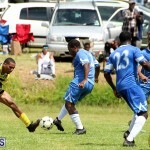 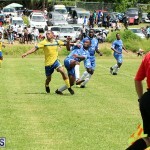 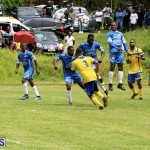 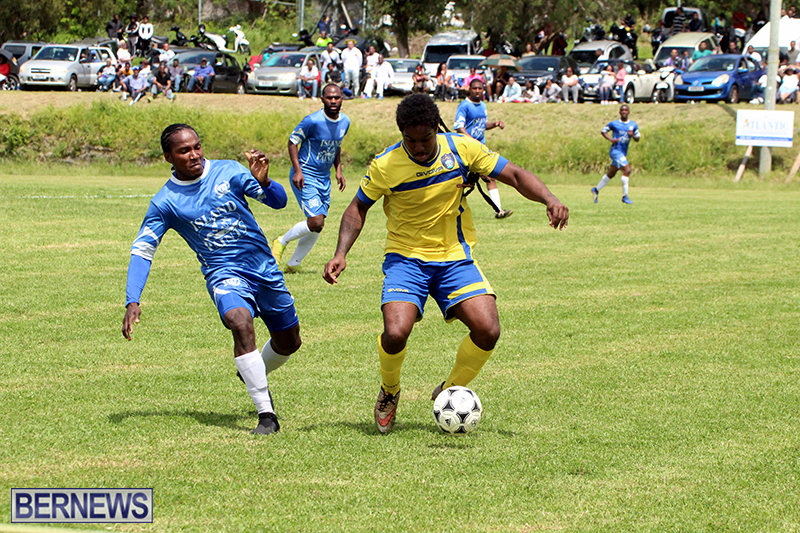 Footballers in the Premier Division and First Division took to the field this past weekend, with the Southampton Rangers earning the First Division title, while St. George’s Colts, Devonshire Colts, Dandy Town Hornets, Devonshire Cougars, and Boulevard Blazers earned wins, while two other matches ended draws. 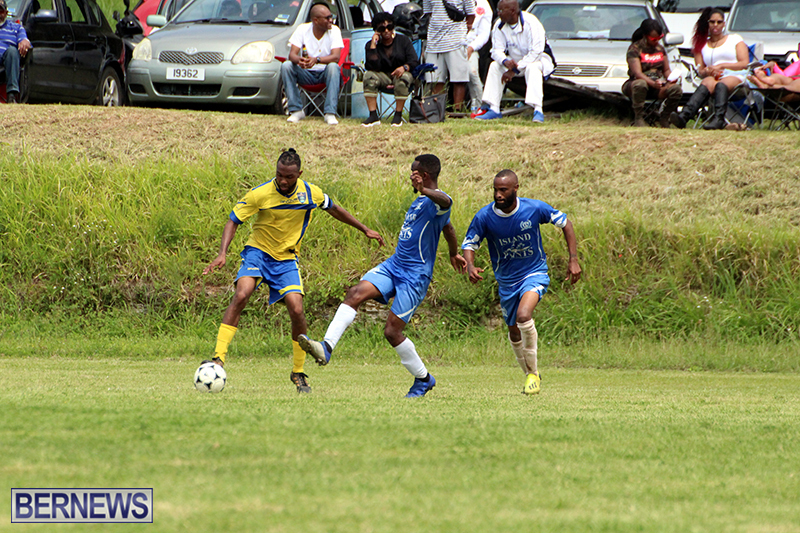 The Southampton Rangers took a 1 – 0 lead in the 21st minute when Cardel Henry found the back of the net. 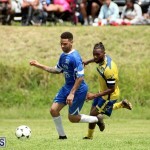 Donte Brangman doubled the Southampton Rangers lead in the 53rd minute, but the Somerset Eagles staged a comeback when Dane Simmons scored in the 60th minute. 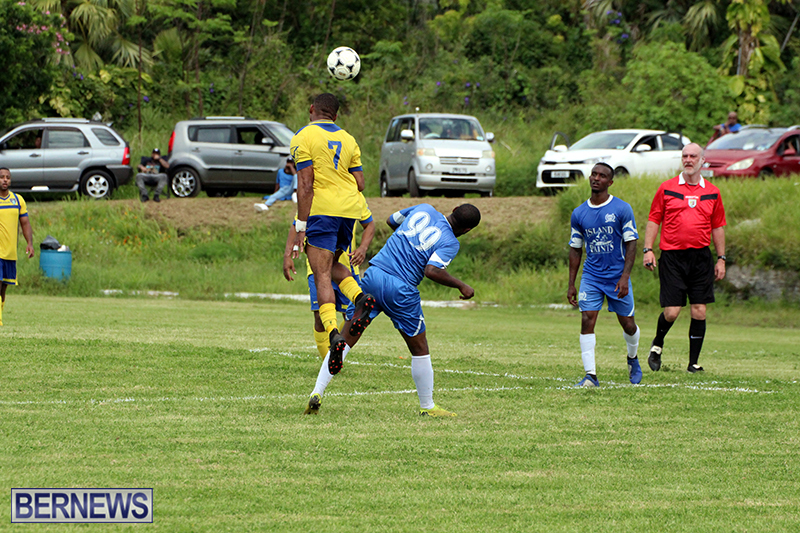 Eleven minutes later the score was level when a back pass from a Southampton Rangers defender looped over the Southampton Rangers goalkeeper and into the back of the net off the upright, and just when it would appear that the Somerset Eagles had done enough, Quadir Maynard went on an amazing run and scored in the 91st minute. 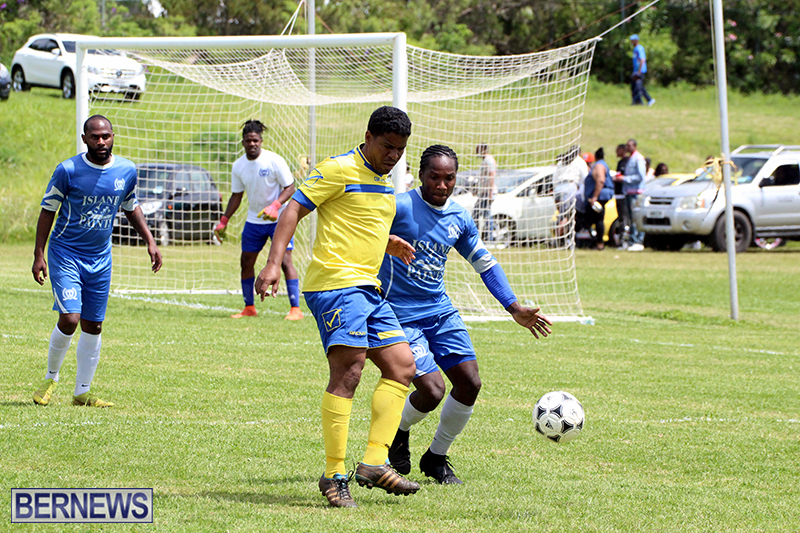 At Malabar, the visiting Devonshire Colts came away with a 4 – 1 win over the Ireland Rangers. 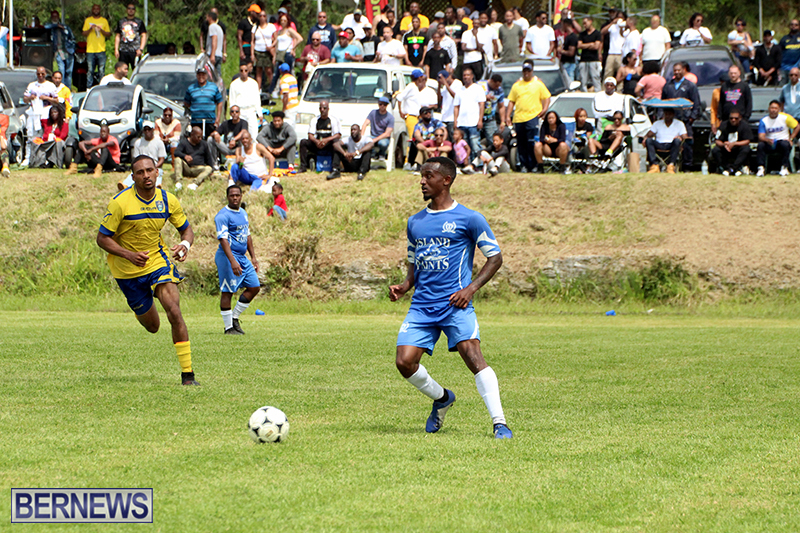 The Devonhsire Colts got single strikes from Diego Richardson, Jan-Henank Hein, Michael Williams and Enrique Wilkin, while Daunte Woods scored the lone goal for the Ireland Rangers. 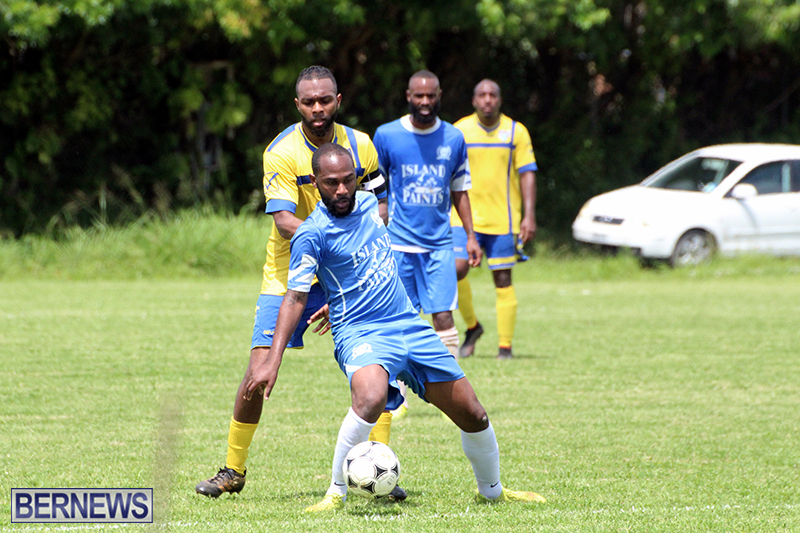 The PHC Zebras were presented with the Premier Division Trophy after their match was called off as the Paget Lions advised the Bermuda Football Association they could not field a team for the match. 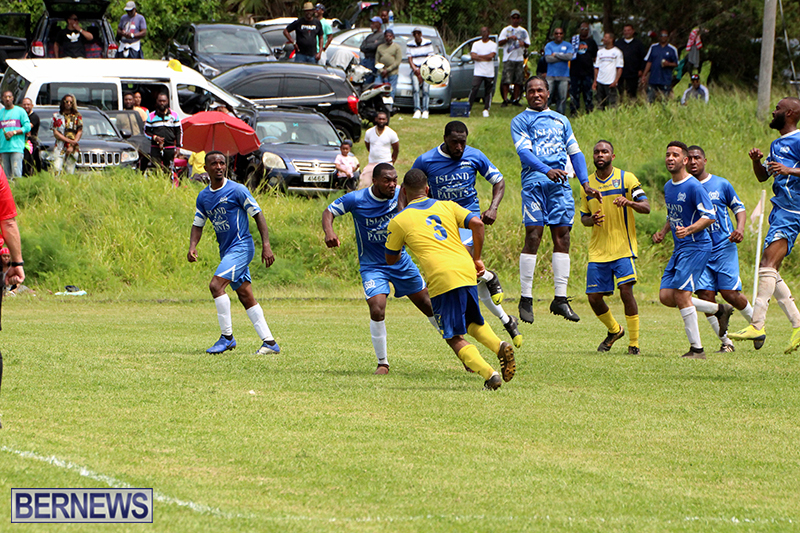 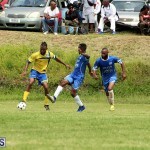 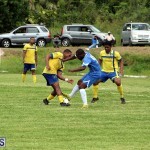 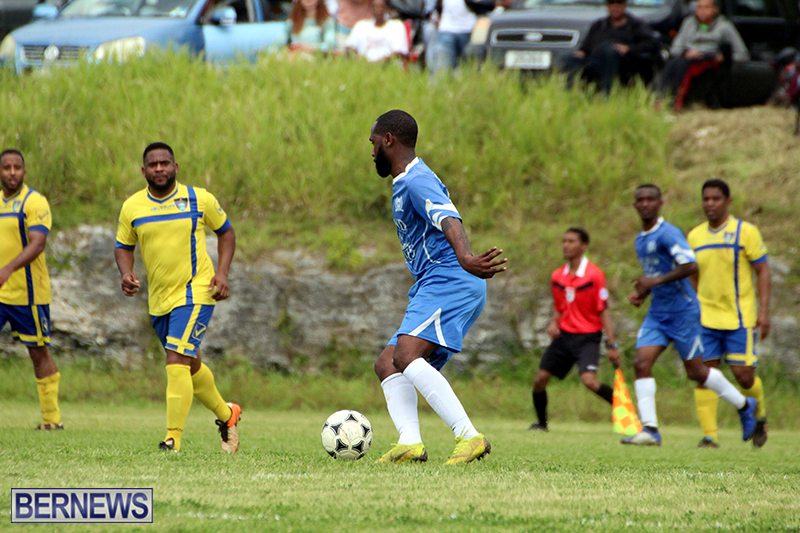 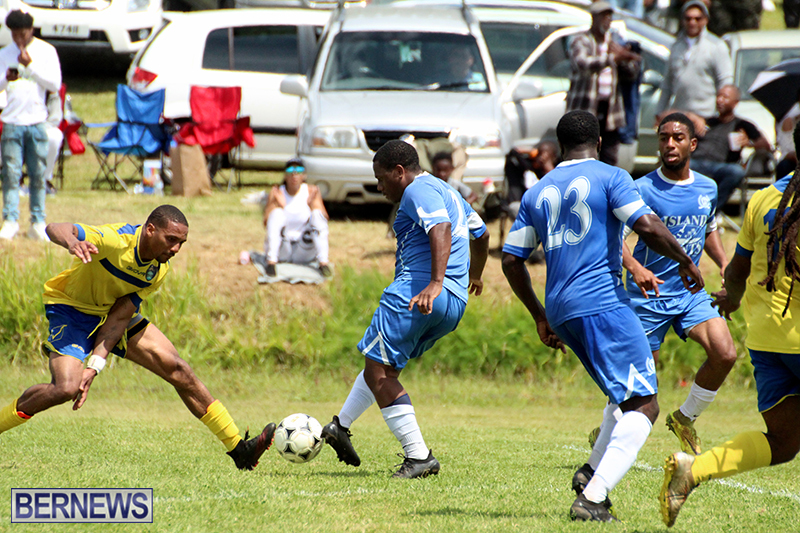 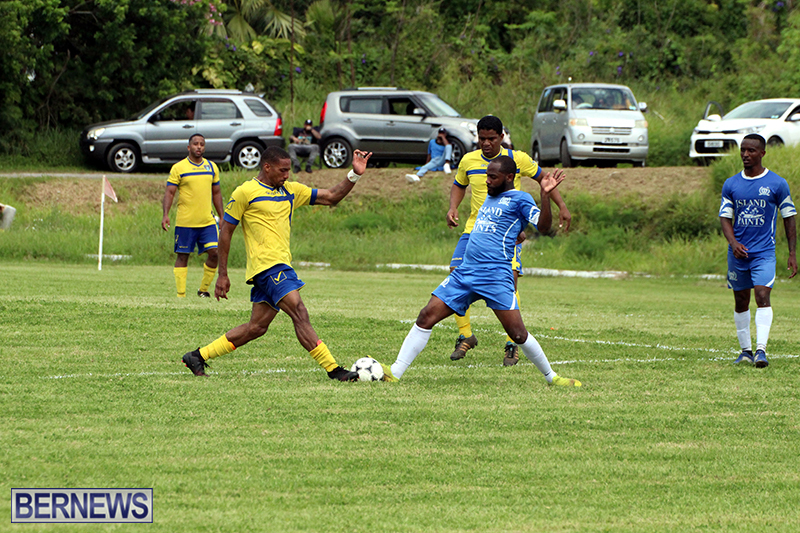 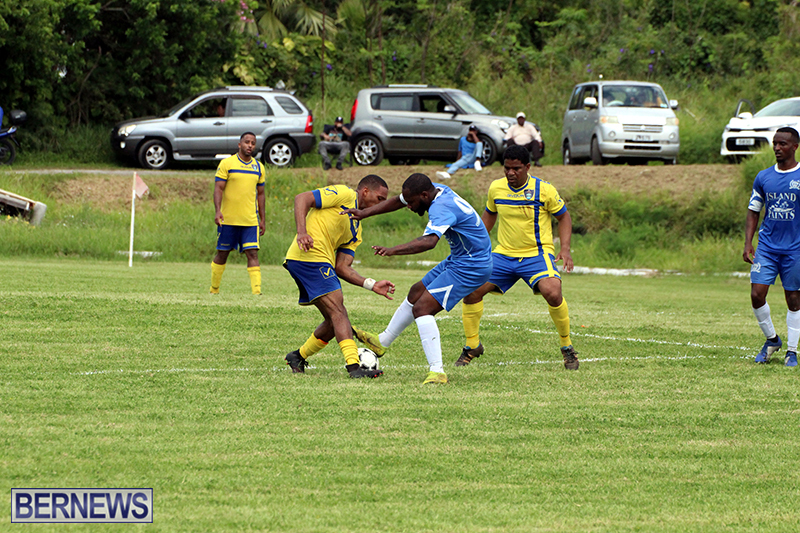 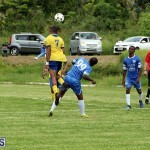 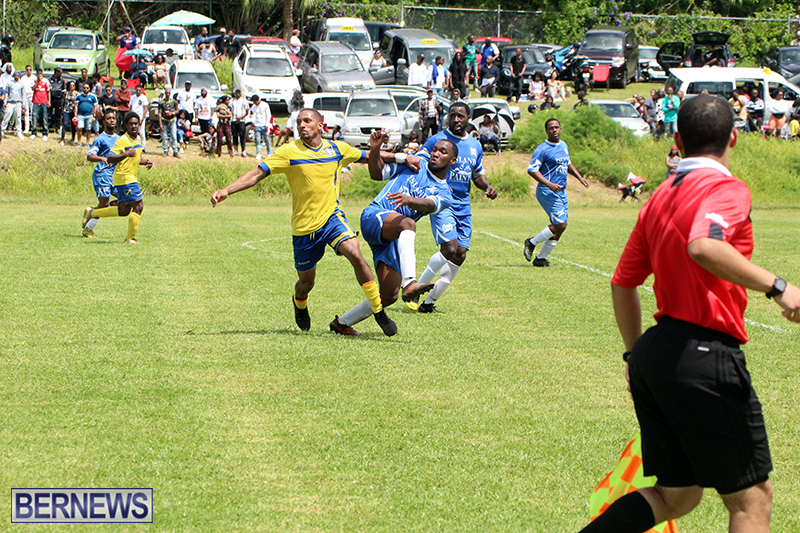 At the St. John’s Field, the Dandy Town Hornets defeated the Somerset Trojans 6 – 1. 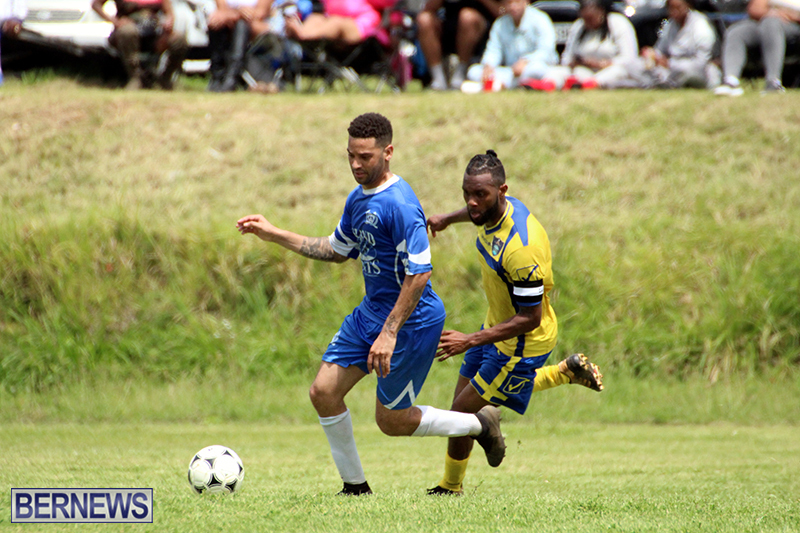 Angelo Simmons lead the way with four goals, taking him to the top as a leading goal scorer. 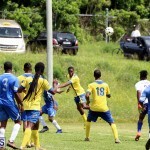 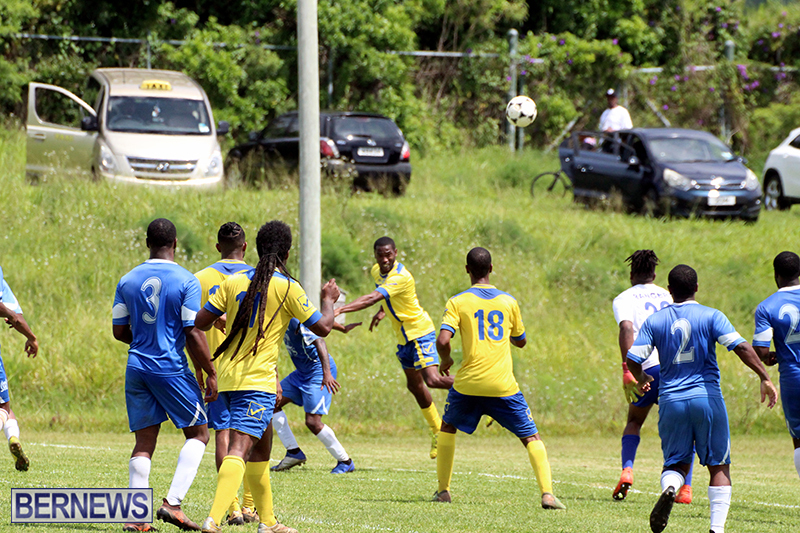 The Dandy Town Hornets also got single strikes from Diione Millet and an own goal, while Shaquille Bean scored the lone goal for the Somerset Trojans. 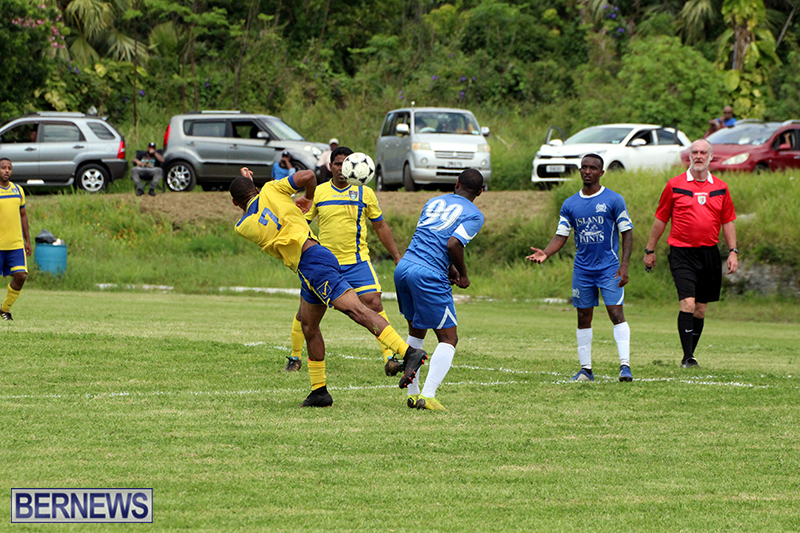 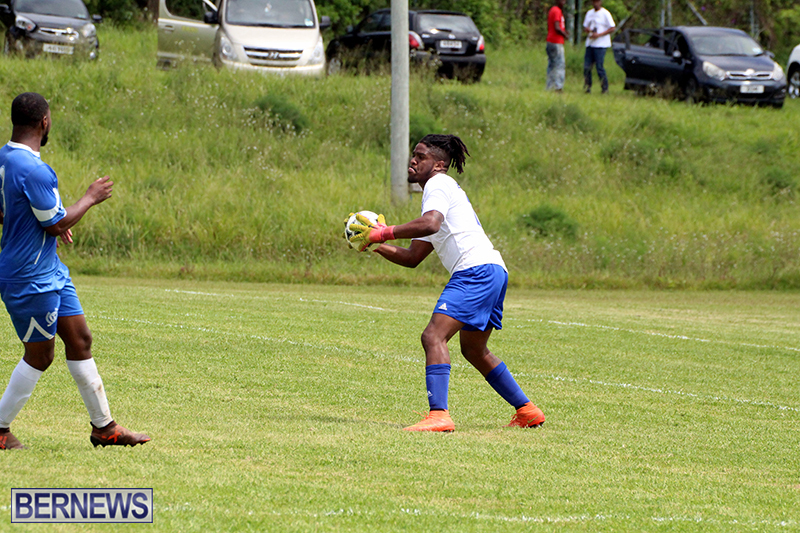 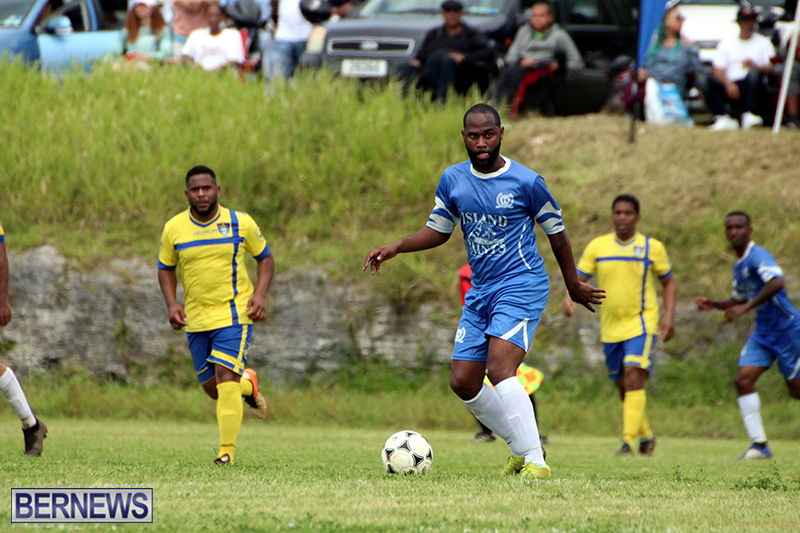 Over at the BAA Field, the Devonshire Cougars got goals from Allan Douglas, Calin Maybury, Demetre Daniels and Nyeem Simmons as they defeated BAA 4 – 0. 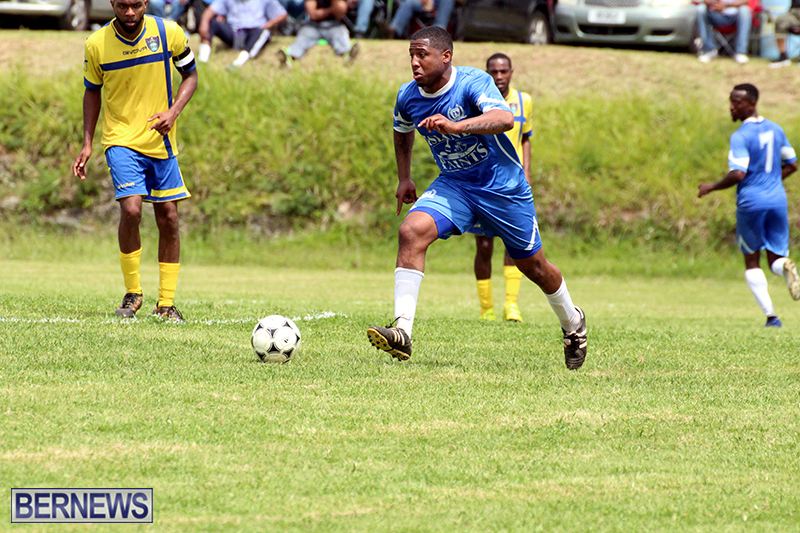 At Bernard Park, the Boulevard Blazers came from 2 – 0 down to defeat the North Village Rams 4 – 2. 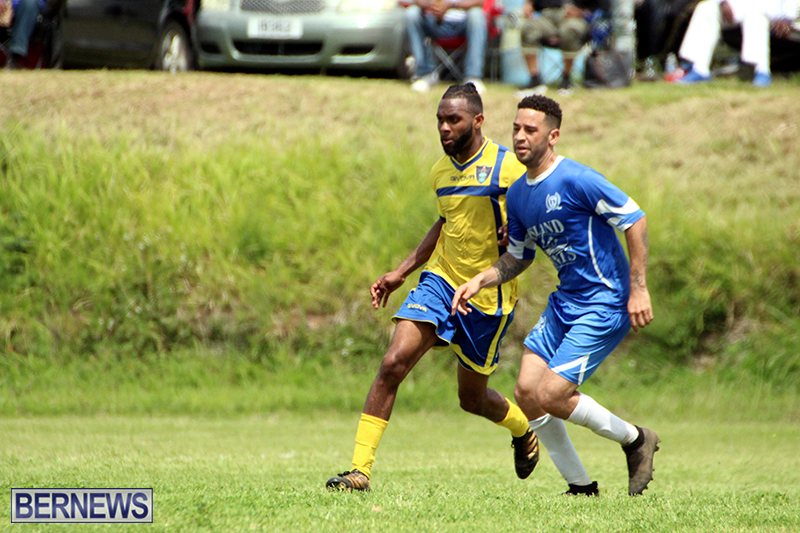 The North Village Rams got goals from Jonathan Briers and Keith Jennings, but the Boulevard Blazers came back with goals from Clay Darrell, Dunn-ya Taylor, Ian Coke and Ernest Trott to earn the win.